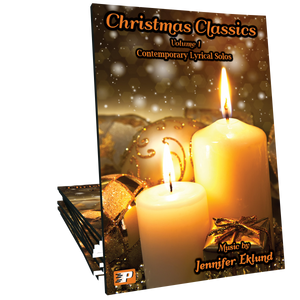 Jazzy Jingles features twelve fresh and elegant holiday arrangements for early intermediates arranged by Jennifer Eklund. 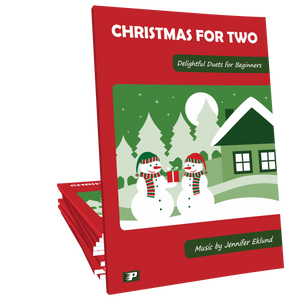 Students of all ages will love these hand-friendly showcase-style pieces with lush jazz harmonies. These pieces are very beautiful and not too difficult. I enjoy playing it. Some songs are less well known, so I ended up playing only half of them. I love these pieces and they are very relaxing. These are perfect for adults or teens. 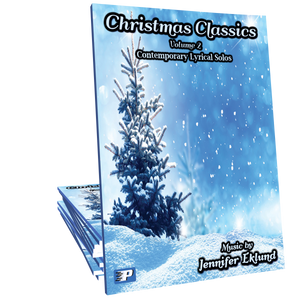 I purchased the digital copy to use for one or two intermediate students that needed a fresh take on Christmas classics. I like that it includes a few lesser know melodies, such as He Is Born, Noel Nouvelet (Sing We Now of Christmas), I Saw Three Ships, and Patapan. 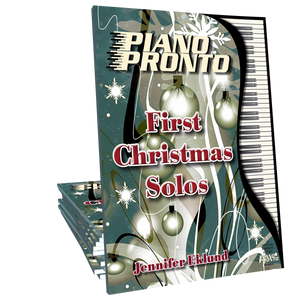 My favorites are I Saw Three Ships and We Three Kings because of their especially jazzy sound, though each piece utilizes sets of chords that differ from your usual sounds. Overall very happy with the book and would definitely recommend it. Looking forward to using the pieces with even more students in the future. Just ordered a number of these for my Movement 2 students. 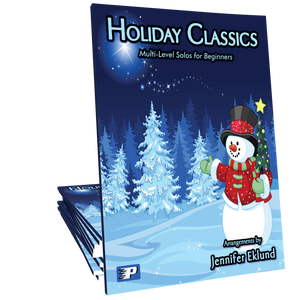 The pieces in this book are arranged in a great way and bring a freshness to a number of holiday classics. 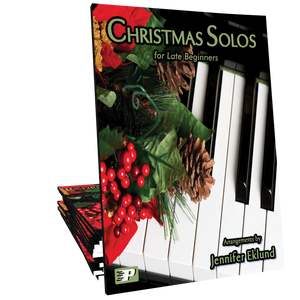 I highly recommend this solo songbook and really hope to see more like it in the future! My son is currently in Movement 2 and almost ready for Movement 3. He heard me playing some pieces from this book and came over to the piano to investigate. When he saw the music, he said, "I can play that! It sounds a lot harder than that though!" He has since been practicing several pieces from this book (in October!). Really excited to have this new resource for my early intermediate students! I played the songs from this book for mom who's been taking piano lessons, and she said "I love it already!!!" and can't wait to get her own copy. This is a fun and great book! Thank you. 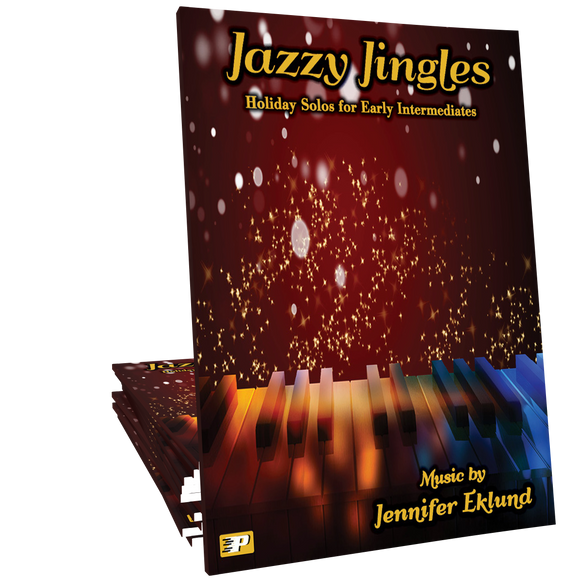 I just purchased Jazzy Jingles (after hearing the sound files, I knew I wanted a copy for myself PLUS the backing tracks!) -what fun!! The arrangements are truly fresh and I particularly loved the one for "I Saw Three Ships". Really delightful to play and I know my students will really enjoy - I anticipate needing to make another order soon! I ordered Jazzy Jingles thinking "for sure someone will love this." Totally wrong! THEY all LOVE IT! I left a copy of JJ on one of my teacher's desk and I got this text within 30 minutes "Jazzy Jingle gets a BIG THUMBS up over here!" This book is super cool and even my students who are Late Intermediate Early Advanced are asking for this because it is "sooooo pretty!" Super sophisticated sounds. Fun. And who knew that skills built in lesson books could make you sound like a professional? This is a great book!